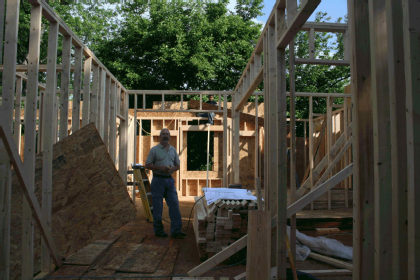 Insulating your home from the Thief. The thief you say? I drove to work today not realizing how cold it really was until I saw the plumes of exhaust billowing from tails pipes. I started thinking about how warm my house is and the comforts of a what a wood stove has added to my my home. While that is romantic, infiltration of cold air though holes or gaps in the shell construction of your home can rob you comfort as you sense the home is never warm. 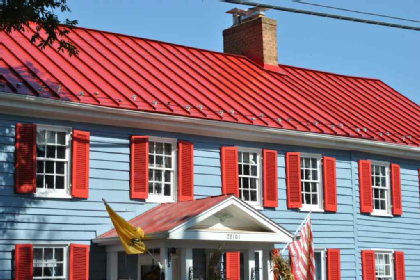 STANDING SEAM ROOF. 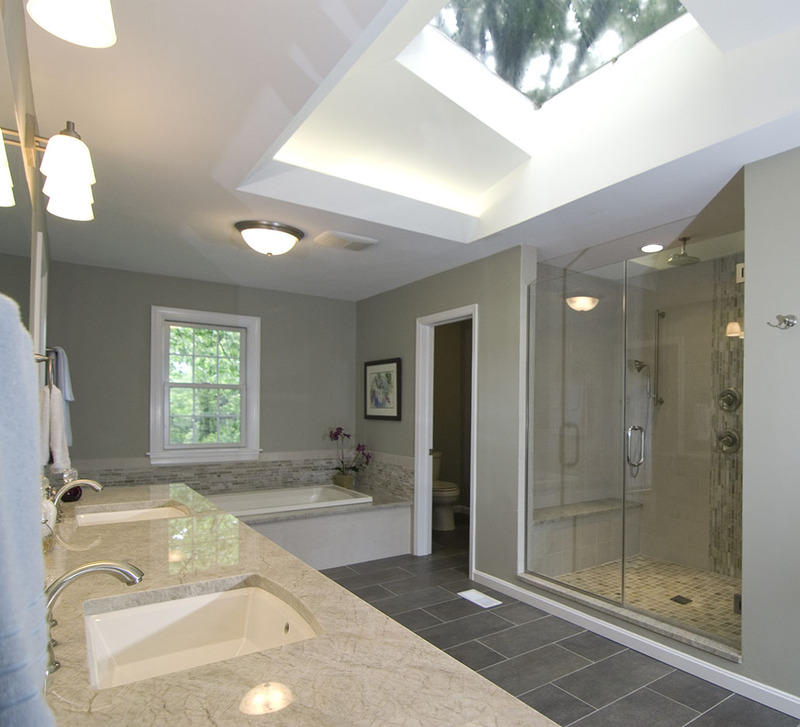 A weather- resistant roof is basic in the longevity and comfort of a structure, regardless of its age, size, or design. The roof of any structure is designed primarily to shed water, protect from the sun, and keep out any element that would destroy the structure underneath. Historically, the roof imparts much of the architectural character that you seen in any building. 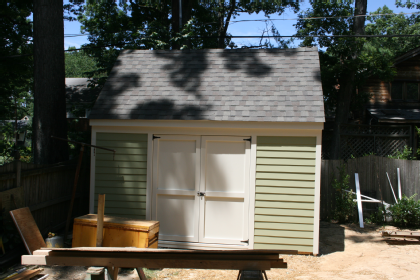 Specifically, architectural signifigance is lent to a residence when roofing material is used not only for protection from the elements but as an accent to differentiate one home from others in the neighborhood. Consider these two floor types. One is true hardwood that has been refinished with a custom stain to provide a very warm tone that says, ” Ahh…home at last”. This warm color was selected throughout the entire home. 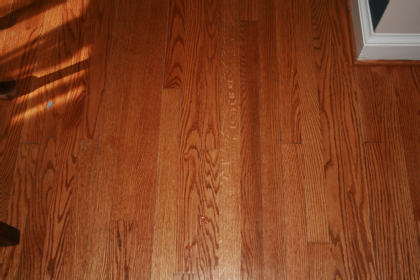 The hardwood is Oak, 2-1.4 inch wide. LOTS OF LIGHT. Light is one of Gods most incredible creations. When the Old Dominion Building Group design team meets with clients, lots of light is one of the most requested features desired in a home. I am not sure why, but in the design of many older homes, the kitchen is usually designed in the center of the home with no light, the bathrooms are in the corner of the bedroom with no light, the hallways have no light. It seems strange because man lives by light, our forefathers farmed and used every bit of daylight to make ends meet, yet home design did not follow this need. 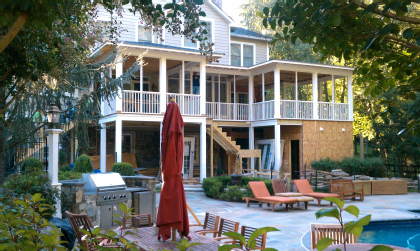 Screened Porches Give Additional Living Space. Now is the time to prepare for catering large social functions at your home. 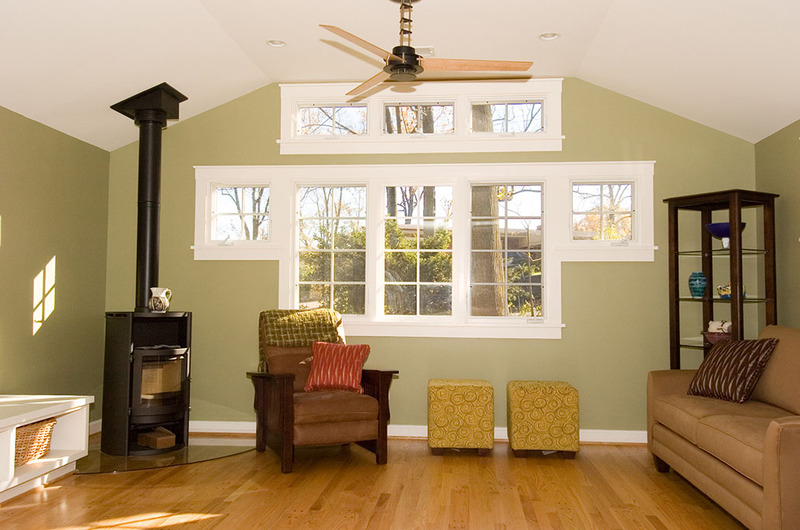 Imagine a beautiful screened porch that overlooks your green space. The photo of this deck G&M used Fiburon decking, Azek trim board. The ceiling of the porch was finished fir bead board, light stain and natural urethane topcoat. This porch was completed for a local celebrity. Wow! 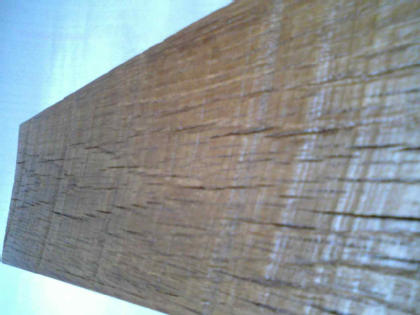 The Old Dominion Building team is very excited that one of our projects will be installing an engineered floor using a reclaimed oak, called Granery Oak. This flooring has a very distressed look to provide a very warm and down home feel. We are very excited because this flooring is engineered, the application to the subfloor will be with adhesive. A bit faster than nailing it will be glued down on slab with no hitches and provide forever beauty. What is even more fantastic is that because this is reclaimed wood, no new trees have been taken down–this is GREEN and recycled for a new owner to care for, and it has a unique history backing it up!